Battery and disorderly conduct charges were dropped for Alexander Coelho by the State Attorney's Office. In his mug shot, Alex Coelho's injuries from the fight are obvious. Charges have been dropped against a man involved in a Fort Lauderdale bar brawl last month. Attorneys at the law firm of Cobb Eddy Mijares said the State Attorney's Office has dropped charges of battery and disorderly conduct against 29-year-old Alexander Coelho. Coelho had been charged following the fight at Dirty Blondes Sports Bar, where officials said a July 28 confrontation led two bouncers to begin beating up customers. Fort Lauderdale Police said Coelho and a group of friends were led out of the bar after getting into a verbal argument with a bartender. When the group of friends asked to speak with a manager, bouncers told them to leave, said an arrest report. Police said bouncer Jovan Ralfhel Dean, 35, then suddenly grabbed Coelho's friend David Parker, 28, and threw him to the ground. Another bouncer, Arnald Thomas-Darrah, 30, started punching Coelho and kicking him on the back of the head once he had fallen to the ground, according to officials. Dean was charged with misdemeanor battery in connection with the fight. Thomas-Darrah, 30, was charged with aggravated battery. 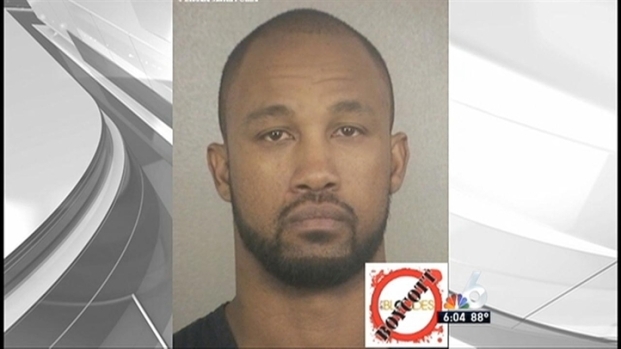 Police have arrested a bouncer involved in a Fort Lauderdale bar brawl that went viral. NBC 6's Claudia DoCampo has the story. Coelho and Parker were both arrested following the confrontation after police said they had been threatening the staff. Officials originally said Coelho had pushed an officer that was trying to get information from him. “Mr. Coelho and I were relieved by the news of all charges being dropped, as we have steadfastly maintained that Mr. Coelho was the victim of the brutal assault and battery by the employees of Dirty Blondes," attorney David A. Eddy said in an e-mail statement. Following the fight, Coelho was taken to Broward General Hospital where he received six stitches above his right eye and two above his left eye. Eddy also said Coelho plans on filing a lawsuit against the bar. "A lawsuit against Dirty Blondes and its owner, Beach Bars USA, LLC, will be filed, and we intend to aggressively litigate this case to ensure that all responsible parties are held accountable," Eddy said.